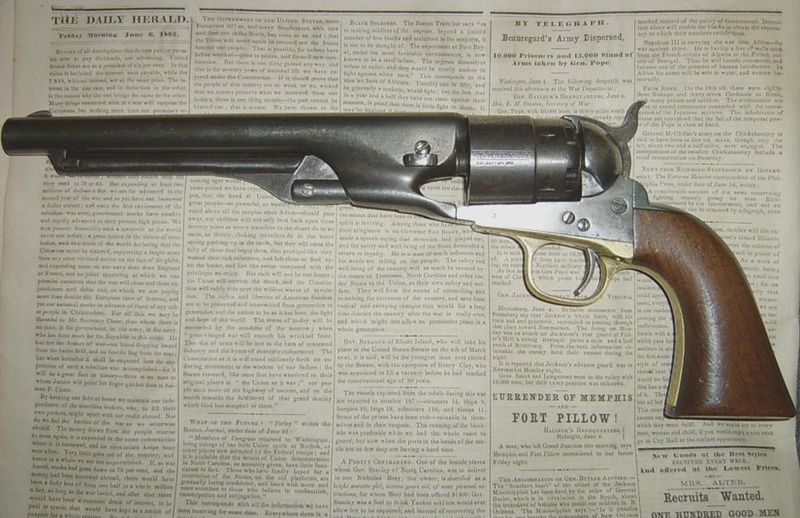 The Colt Army Model 1860; a muzzle-loaded, .44-caliber, cap and ball revolver, was the most popular sidearm used during the American Civil War. The Model 1860 was a single action revolver with a 6-round rotating cylinder, fixed sights and on average was accurate up to approximately 100 yards. 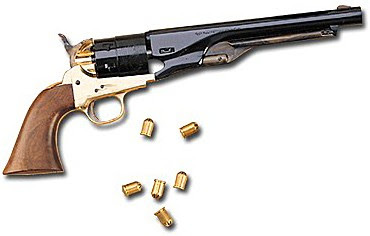 More than 200,000 were manufactured from 1860-1873, of which over 127,000 were purchased and issued to Union Army troops during the civil war.